Coach LaxRoxTopher and Coach RevoSpeed proudly present the Season 1 Midseason Recap for the PAC-12 Dynasty. 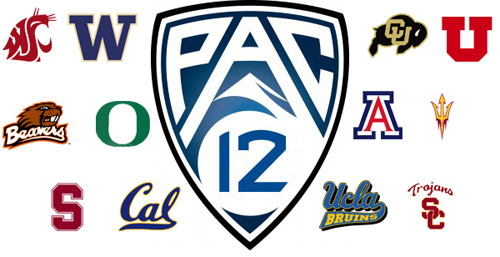 Stay tuned for even more content and media from the PAC-12 Mothership Network! listening now thanks guys!! Use to do something similar when i was a co-host for a madden league great to see you guys doing this!! Like 20min through and just have to say that you guys are right I'm adjusting from a SEC offense but I have found a playbook that works for me and i truly believe I can win any game that comes my way and my new system is starting to click. No doubt i have nothing but tough games left but I truly believe I have found my groove with UCLA. I just had to find the similarities between South Carolina and UCLA and find out how to make it work. My main concern is defense despite it playing well against Colorado but I feel I have a great offensive system in place. I really want a rematch against Oregon or Stanford to redeem myself but before that I have so many huge games left I am excited about playing!! So this is why I saw you on skype Lax. Christhedawg wrote: So this is why I saw you on skype Lax. Bout to check it out. I wont let you guys down! I will beat the Huskies!!! I see I've got some doubters!! !